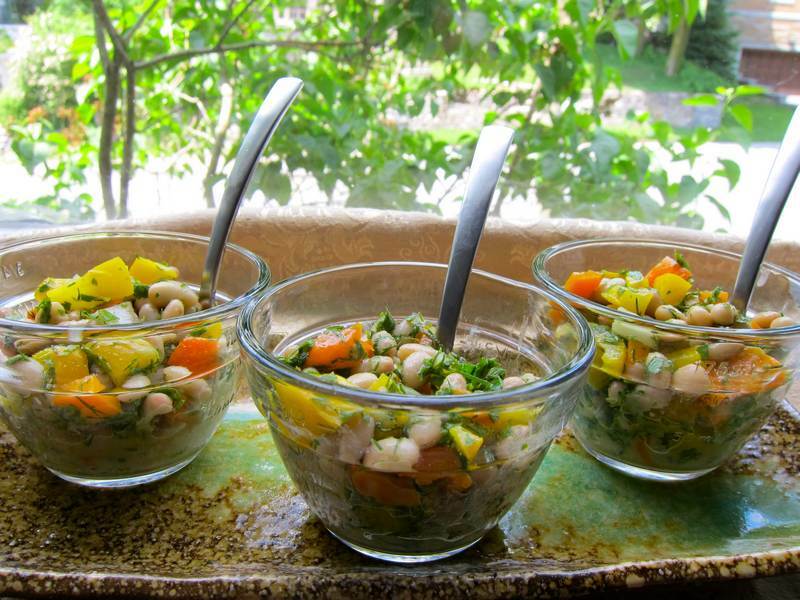 My dear friend, fellow blogger and editor Harriet Sugar Miller, tasted this White Bean Salad along with the Purple Cabbage Salad and deemed it blog-worthy. Bean salads are a staple — they keep well for days, fit well into buffets and travel well in lunch bags. These two salads would make a lovely summer meal alongside a serving of fish. Combine all ingredients and refrigerate to marinate before serving, if you have the time. Tasted best after 2 days of refrigeration. 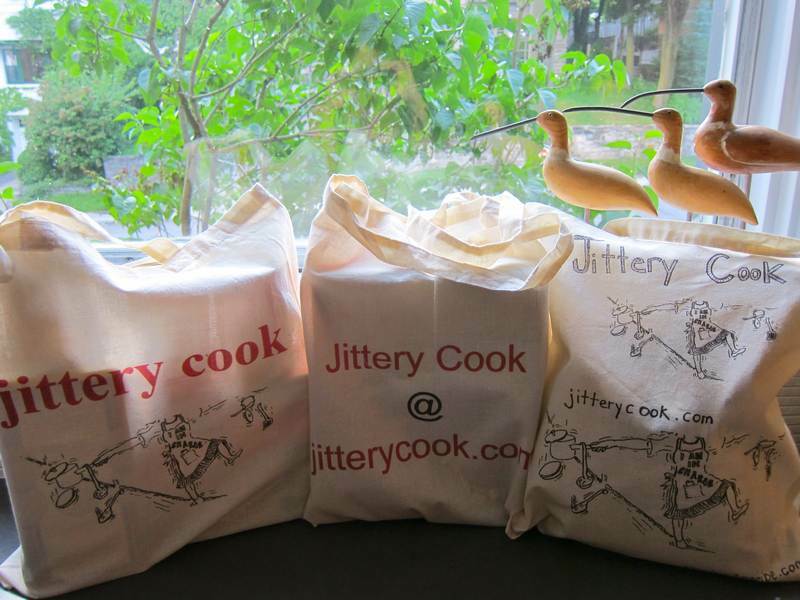 Win a set of Jittery Cook grocery bags! Email me ([email protected]) your favorite recipes to share, and you’ll have a chance to win a set of 2 Jittery Cook grocery bags–freshly minted! First lucky winner will be selected on June 28th. Thanks! Buy Eden beans. They don’t use BPA in their canned beans. Read more at Eat and Beat Cancer. Have you considered the 10 healthy pasta alternatives? Do you know about clean, cook, separate and chill? Care to learn about the future of food? This salad is delicious and so easy to assemble !! !